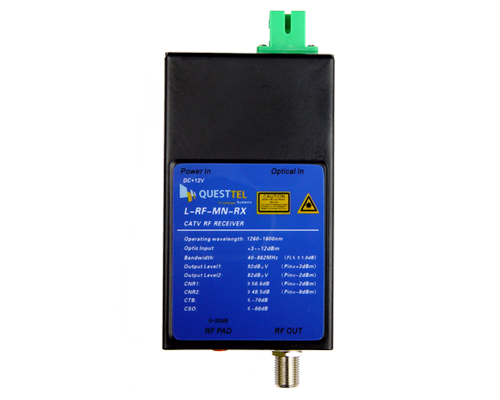 QuestTel designs and manufactures high-performance and reliable fiber optics products for military and high security signal transport applications. 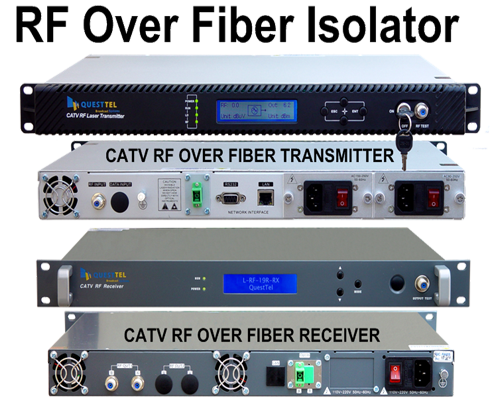 The L-RF/TX-RX-ISTR is typically used to prevent unwanted transmission in the return direction. 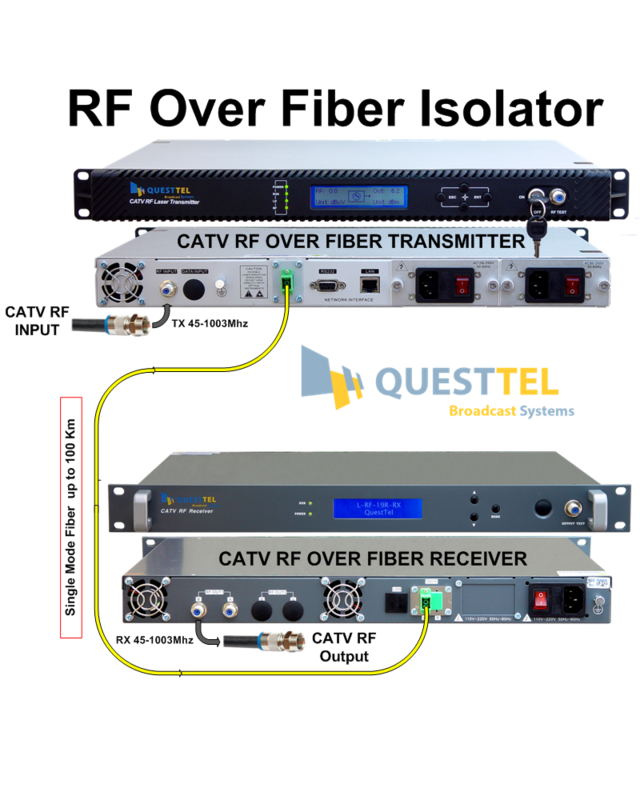 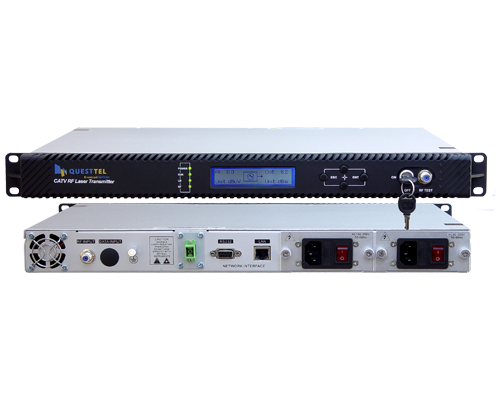 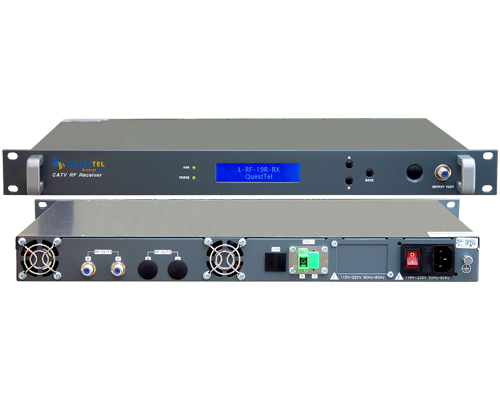 QuestTel's RF Over Fiber Isolator featured in this application provides high security best suited for advanced military and security applications.